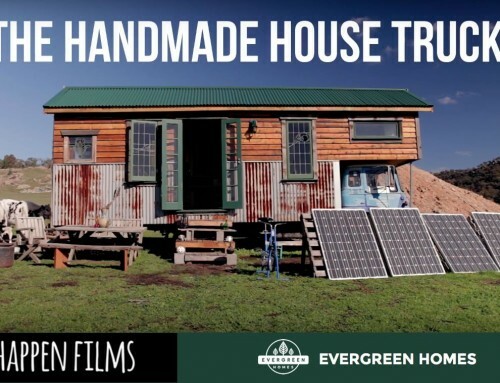 Why go Off Grid in the First Place? Living off grid is a one of the most talked about topics on-line, off-line, urban and sub-urban! But why are people looking to go off grid in the first place? What’s the appeal? Living off the grid simply means having a self-sustaining domicile that is independent of outside utilities. While “preppers” and survivalists may come to mind, for many, the goal of living off the grid is simply to live healthier and leave a smaller environmental footprint. 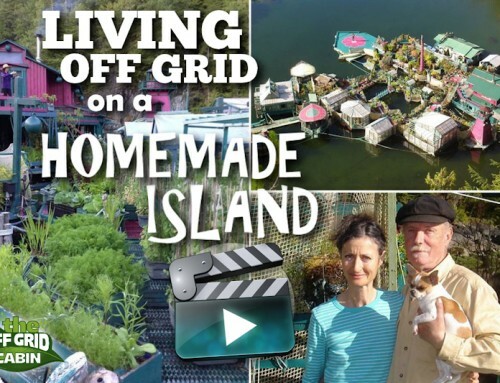 Living Off The Grid: It’s fast becoming one of the most sought after lifestyles on the planet. What if You Don’t Want to go Completely Off Grid? 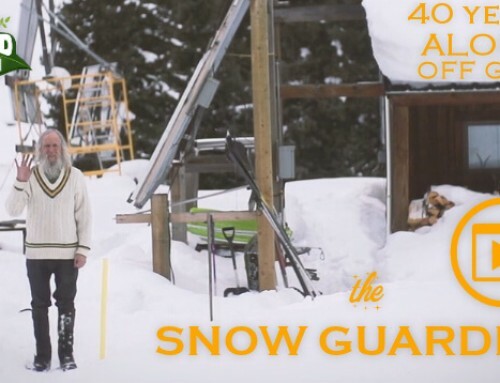 Going off grid may not be an option for some people as some areas of the U.S. won’t allow you to disconnect from the grid. But if you still want to “stick it” to the grid, then there are some great options. When was the last time the utility company actually paid you any money? The dirty centralized energy industry is a $6 trillion dollar/year industry. today, we’re finally taking back control of the energy industry through the installation of home solar systems. We now have options that include net metering and some people (like us) are even making a pretty decent living by simply sharing the option for people like you to go solar. 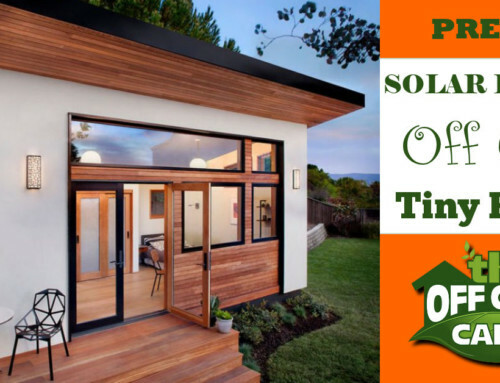 If you’d like to know how much you can save every month with a zero down solar system for your home then simply pop your zip-code in here and we’ll connect you with the top rated and most accommodating installer in your area. We’re here to help you in every way possible. To learn how you can help others go solar and get paid for it like we are click here. 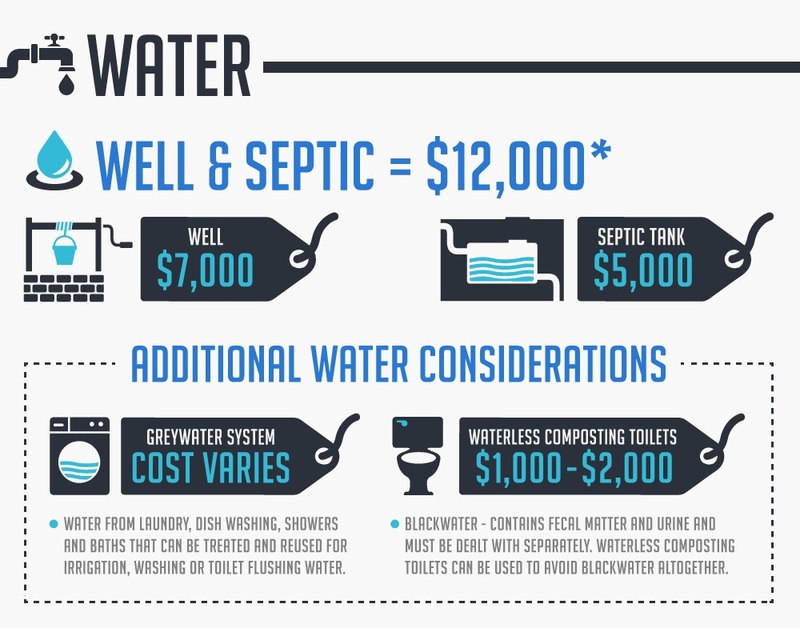 What about Water and Septic? So What’s The True Start Up Cost? 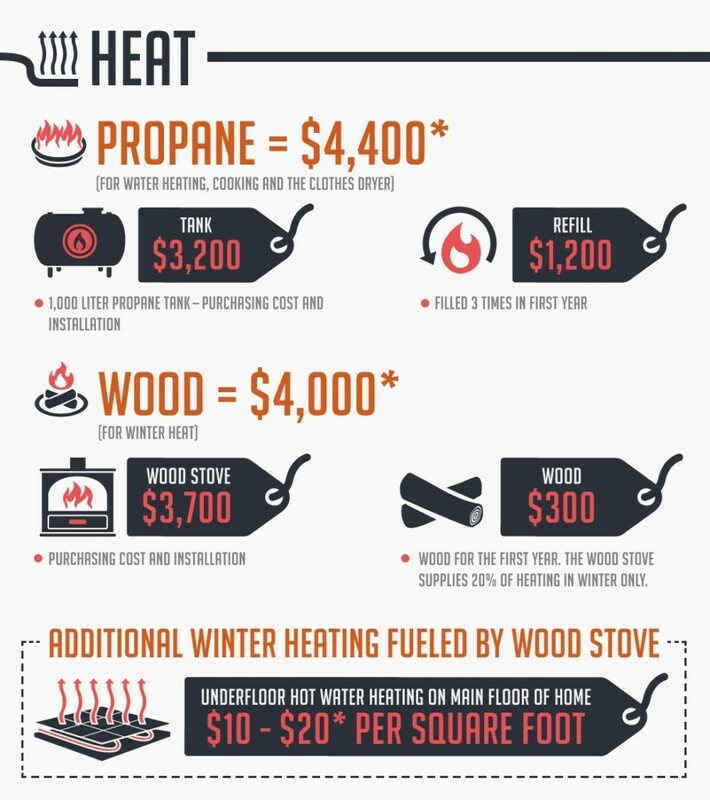 Check out the info-graphic below to see how we came up with that amount. Easy… tell the electrical company who’s gouging you every month by hiking up your electricity bill year after year your’re giving them the old heave-ho! We no longer need the utility company and their centralized power grid. The bottom line is that a new home goes solar every three minutes, can generate its own power, and even generate money when it produces excess energy. You can even sell the excess energy your system produces back to the same utility company that has been charging you all these years. Imagine that! And there’s even a couple options from there. Have a power credit applied to your next bill or simply get paid for the excess energy you produce (depending on your local regulations). 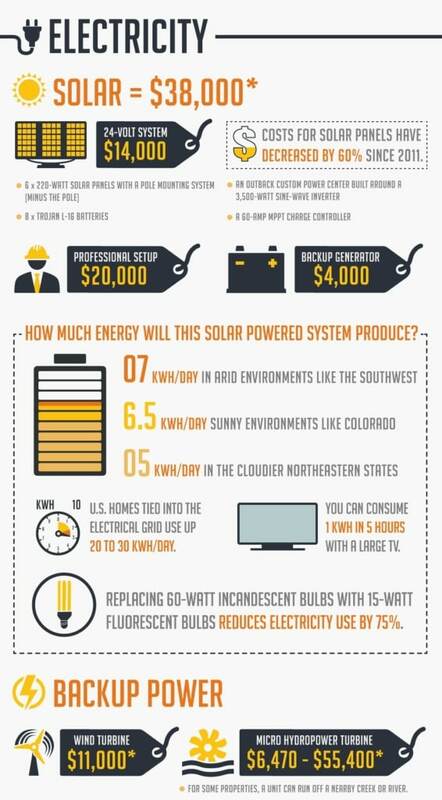 We took advantage of a solar technology platform that is helping installing solar on 2 million homes by 2025! Powur is a technology based platform that has allowed us to offer solar to any home owner from over 30 of the top solar providers in the word! Now we generate an income while we live off grid using nothing more than our cell phone. 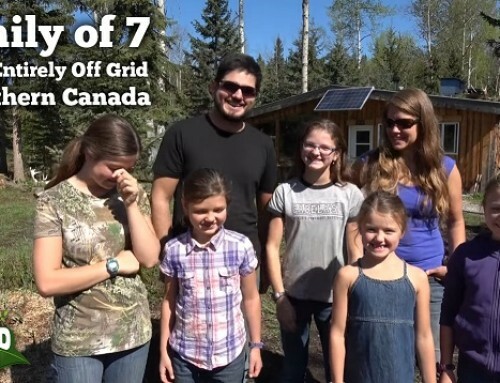 It’s incredible because no only did it pay for our land, cabin and all the tools but we’re helping thousands of people detach from the grid, helping the world with the adoption of clean energy and healing our planet at the same time! As of today hundreds of people have joined us in Powur and are helping make solar the next true revolution! You can read more about Powur here. 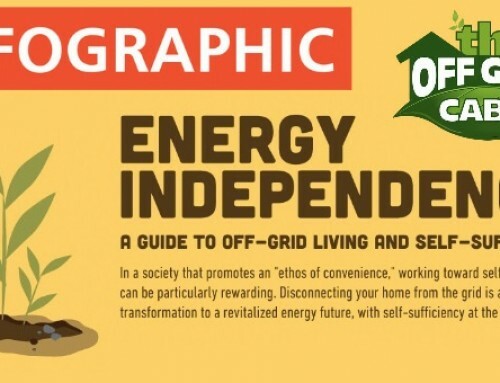 Few people ever talk about exactly how much it will actually cost you to completely remove yourself from grid to attain true independence from the utility company. Not us. That’s big part of why we created our website. We’re arming you to the teeth with the design, the how to, the solutions and even the tools to help you do just that. Be sure and follow the build of our off grid cabin if you’re not already by subscribing here. Don’t forget to SHARE if you enjoyed the info-graphic.